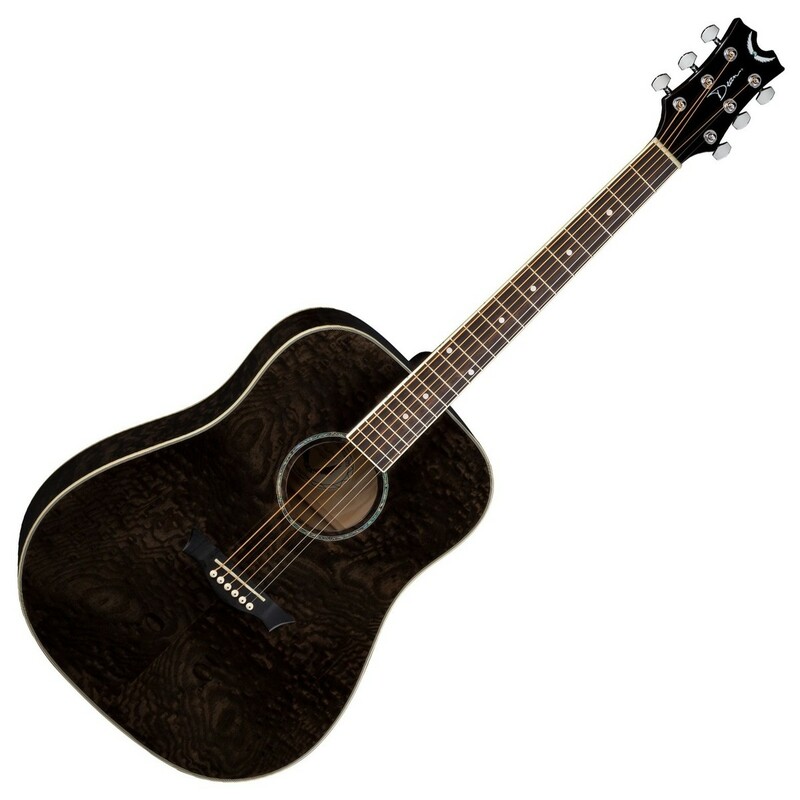 The Dean AXS Quilt Ash Dreadnought Acoustic, Transparent Black offers a striking appearance with an impressive tone to match, resulting in a guitar that is ideal for both beginners and more advanced players. With a body crafted entirely from quilt ash, the AXS delivers an impressive tone that is rich and full with snappy, strong characteristics. In addition, the sound produced combined with its dreadnought body offers a rich, full sound with great projection and volume that can accommodate many different genres and styles of play with equal ease. Aesthetically, the AXS will stand out from the crowd as its quilt ash construction really shows off the wood's exquisite grain. Finished in trans black with abalone inlays and an eye-catching quilt ash construction, this affordable Dean AXS Dreadnought offers a stunning design to match its sound. Constructed entirely from quilt ash, the Dean AXS Trans Black not only looks beautiful, but has an impressive tone to match. The quilt ash body delivers a rich tone with snappy and strong characteristics such as its distinctive mid response, rounded lows, and popping highs. Additionally, the Dean AXS also projects a bright tone with long lasting sustain. 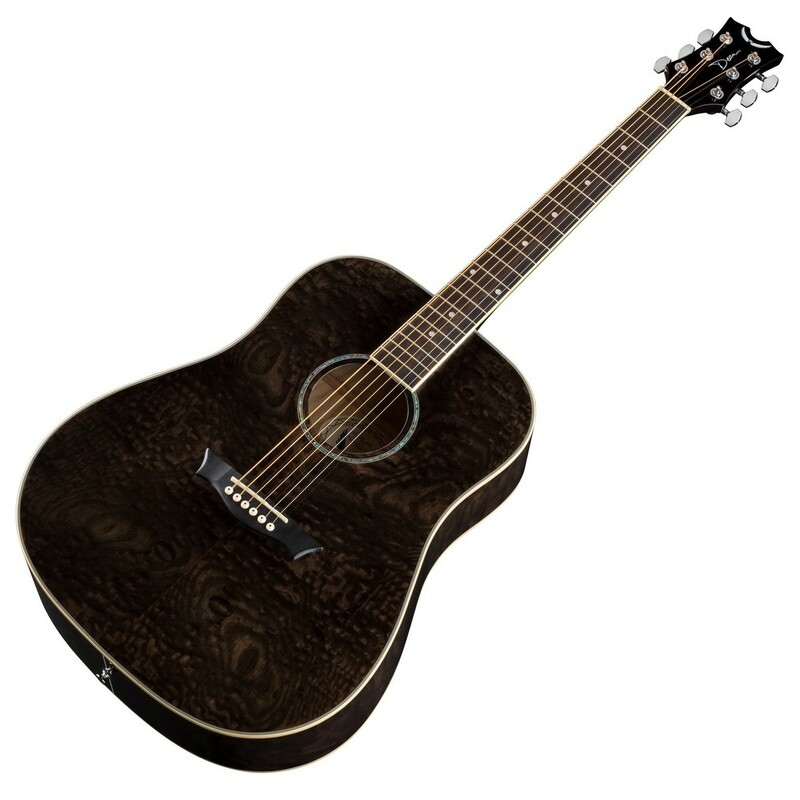 The combination of tonewoods and dreadnought body also make it ideal for a wide range of genres and techniques. The Dean AXS Trans Black features a mahogany neck that responds greatly to numerous techniques and styles of play with ease. To provide comfort, the Dean AXS has a C shaped profile, offering players a comfortable and secure grip, reducing the likeliness of a cramping hand. 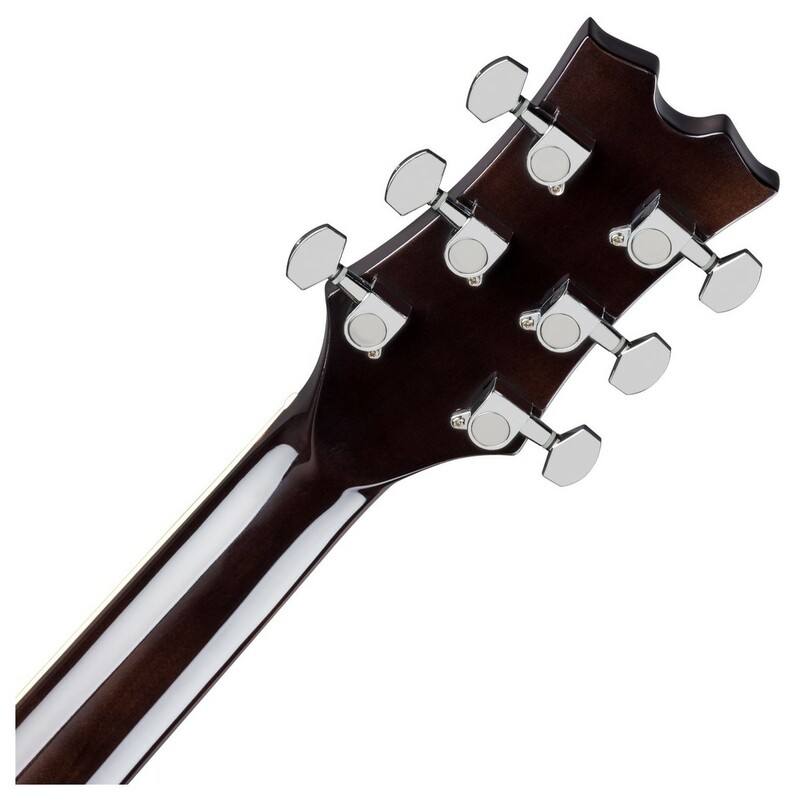 The neck is topped with a rosewood fingerboard that offers players a smooth and energetic play, and adds a bright, warm, sparkling-sizzle to the overall tone. 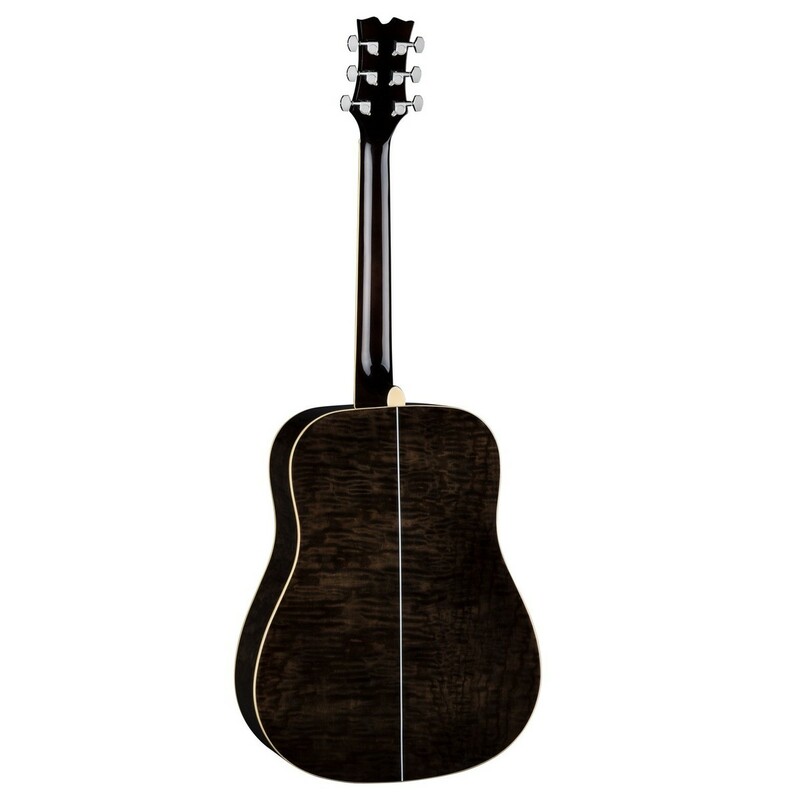 Its rosewood fingerboard is subtly decorated with beautiful abalone dot inlays for added beauty. 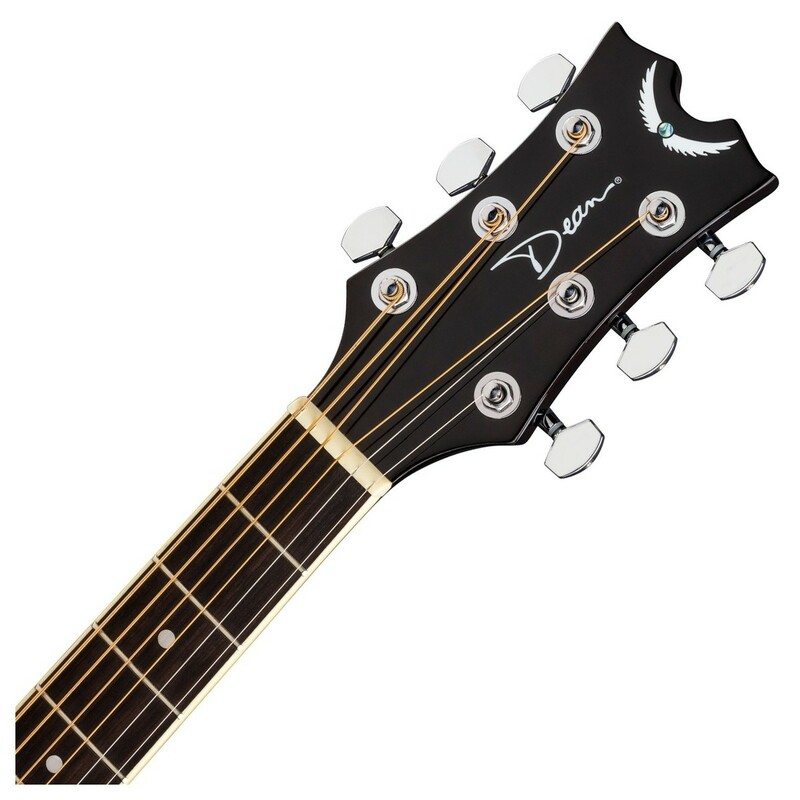 The Dean AXS features a dreadnought body, which projects an enormous voice yet still maintains overall tonal balance. This well-balanced dreadnought voice is as equally suited to fingerstyle techniques as it is to aggressive strumming, making it versatile and ideal for a wide range of genres. Its dreadnought body also has superb projection and volume, which makes it ideal for the singer/songwriters. Vocalists are able to push their diaphragm to the max and not feel too loud against the guitar's volume, as it will sing as loud as you do.